Cape Town is without a doubt one of the best places in Africa to find great food. While the city is surrounded with incredible wineries and teeming with delicious seafood spots, sometimes you just want to sink your chompers into a thick, juicy burger to satisfy your craving. Thankfully, the city has plenty of options to choose from. Whether you’re wanting an artisanal burger, an ostrich burger, or something more classic, here’s where to find the best burgers in Cape Town. Hudson’s has been one of the most popular burger restaurants in Cape Town since it opened in 2009, and now has several locations around the city. The restaurant’s popularity also makes for a packed house, which is great if you want a vibrant environment to enjoy your meal in. As for the burgers, the restaurant lets you create your own, and has a whopping number options and toppings to choose from. Try the Works Burger, which comes with everything but the kitchen sink! Desserts here are also to die for, and feature items like deep-fried Oreos and Nutella milkshakes. 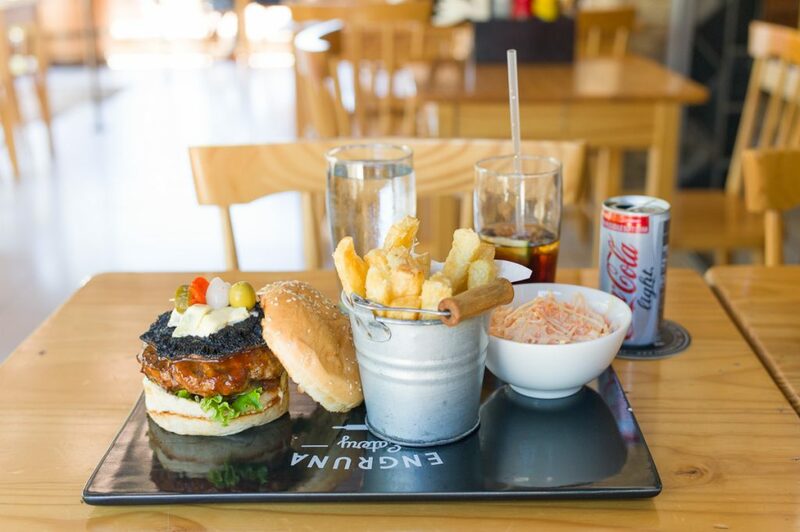 Located on Long Street, this popular joint says that its burgers “make your soul tingle and your dreams come true.” We aren’t so sure about that, but the burgers are downright delicious. The restaurant has more than 50 gourmet burgers on the menu, so you’re bound to find something you can sink your teeth into. Some of the restaurant’s specialty burgers include the Cosa Nostra, which comes with sun-dried tomato pesto, roasted veggies, and melted mozzarella, and the El Burro, a 160g patty blended with chorizo, chillies and coriander, then topped with guacamole and chipotle peppers. This rustic yet modern restaurant is one of the best dining environments in the city in which to grab a burger. 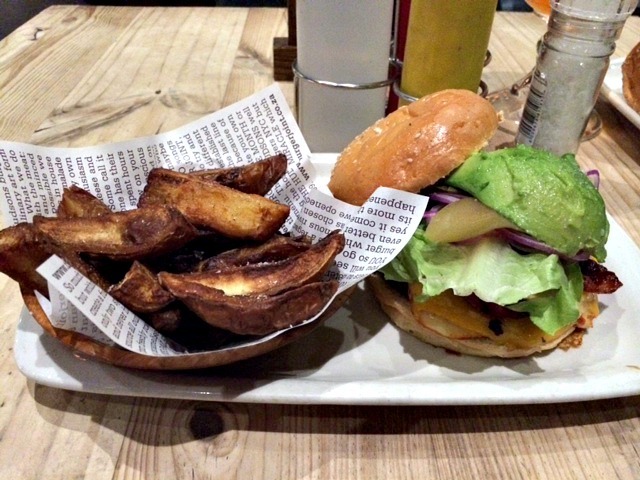 Engruna has many other items like tapas and pizza on the menu, but the burgers are not to be missed. There are many different options, including several different beef mixtures, vegetarian, vegan, pork, ostrich, chicken, and even chorizo. However, one of the best is the classic mushroom, which comes with a grilled portabella mushroom, gorgonzola cheese and a zesty homemade relish of peppers and pickles. 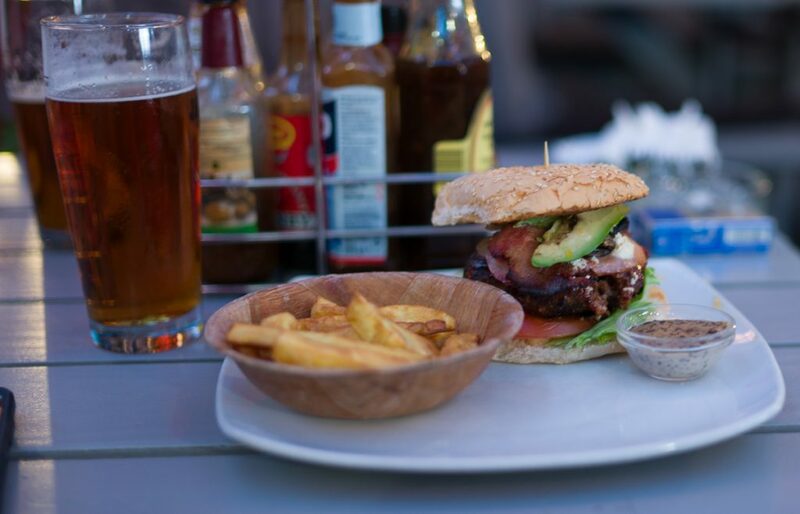 Located on hip Bree Street, this craft beer and burger joint is one of the top places to hang out and dine in Cape Town. The outdoor seating area is quite lively, especially on a warm summer night. Although there is just one true burger on the menu, it’s so good that it is worth coming to this restaurant for. The Bree Street Burger comes with free-range beef, bacon, colby cheese and super-crisp butter lettuce which will knock the pants off any burger lover. There’s also a fantastic barnyard chicken burger, along with other great items like grilled sausages and lamb chops. Located in Zonnebloem near City Bowl, this fantastic burger spot is popular with the after work crowd and has great happy hour specials. Burgers are the most popular item on the menu, and you can get them in beef, chicken, lamb, ostrich and vegetarian varieties. The restaurant also has choices such as “the full monty” which comes with avocado, feta, bacon, mushroom and sizzling caramelized onions. 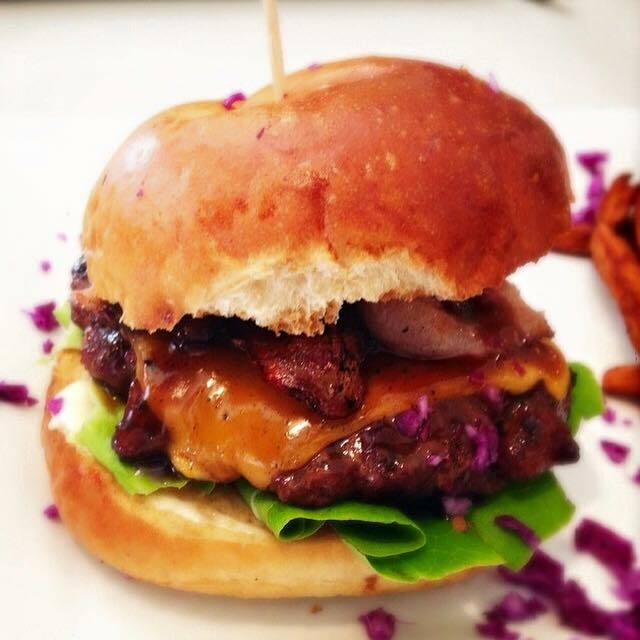 If you’re traveling here from outside the country, make sure to try the ostrich burger — a South African favorite. If you’re looking for craft beers with great burgers, it doesn’t get much better than Jerry’s. Try one of the Original 7 Deadly Sins, such as the Sloth 7 burger that comes stuffed with melted cheddar cheese and spicy jalapeno, then topped with fried bacon and creamy avocado. Burgers are served on a brioche bun, and all the extra toppings — down to the pickles — are gourmet. If you still have room in your stomach after getting your mouth around one of these juicy burgers, be sure to wash it down with one of the custom milkshakes.